PERFECTIONISTS Dean and Shay Paine have pocketed more than three-quarters of a million dollars on The Block. 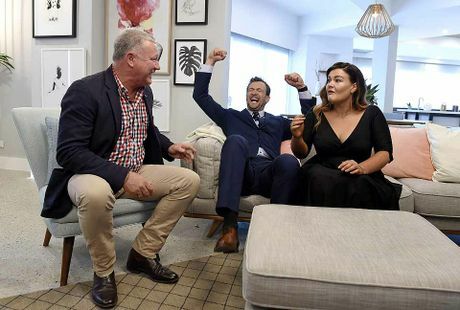 The Newcastle couple was crowned the winner of the reality renovation show tonight, earning $655,000 in profit during the auction of their penthouse apartment. "We're absolutely blown away with how it's all come together," Dean told APN. "We had a really great start on the show... then coming back to win the last three (room reveals) straight and then to take out the auction, we're just pinching ourselves." Combined with the show's grand prize of $100,000, the Paines pocket $755,000 for their efforts. It wasn't enough, though, to break Darren and Deanne Jolly's record haul of $935,000 earlier this year on the Triple Threat season. It was a nail-biting finish for the Paines as Busselton siblings Luke and Ebony came within $15,000 of pipping the couple in the final auction of the night. Luke and Ebony were supposed to go first in the auctions, but swapped with Kingi and Caro. The generous moved ended up working in their favour as a buyer who missed out in the previous auction snapped up their sub-penthouse. "You couldn't ask for a better couple to be hunting you down," Shay said. "We're super happy for them and everyone for doing really well." It was a profitable night for all five teams, which took home a combined $2.539 million in prize money. 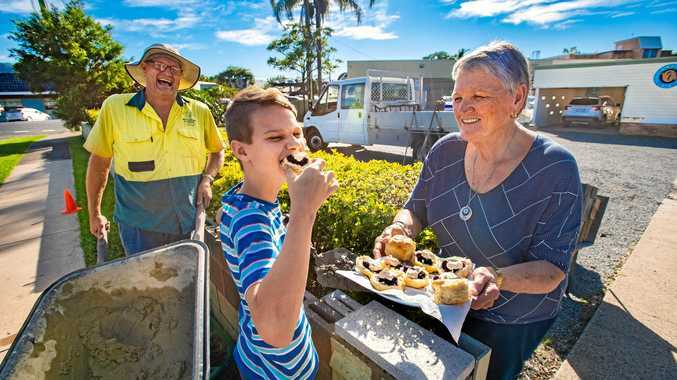 Townsville parents Kingi and Caro finished third, earning $405,000 for their first-floor apartment, which was purchased by Queensland's Mater Foundation for the Mater Prize Home. Melbourne's Andrew and Whitney, who recently revealed they have gone their separate ways, took home $390,000 between them in the fourth auction of the night. Gold Coast mums Suzi and Vonni walked away with a $349,000 profit when their luxury apartment sold for $1.829 million. Dean and Shay will use their winnings towards their new business, The Wild Creatives, and to finish the renovations on their Newcastle home. "We're halfway through renovating the house we're currently in, so there's no rest for us," Shay said. Channel 9 confirmed last month the show will return for a 12th season next year.